Enjoy the top 2 famous quotes, sayings and quotations by K.E. Garvey. 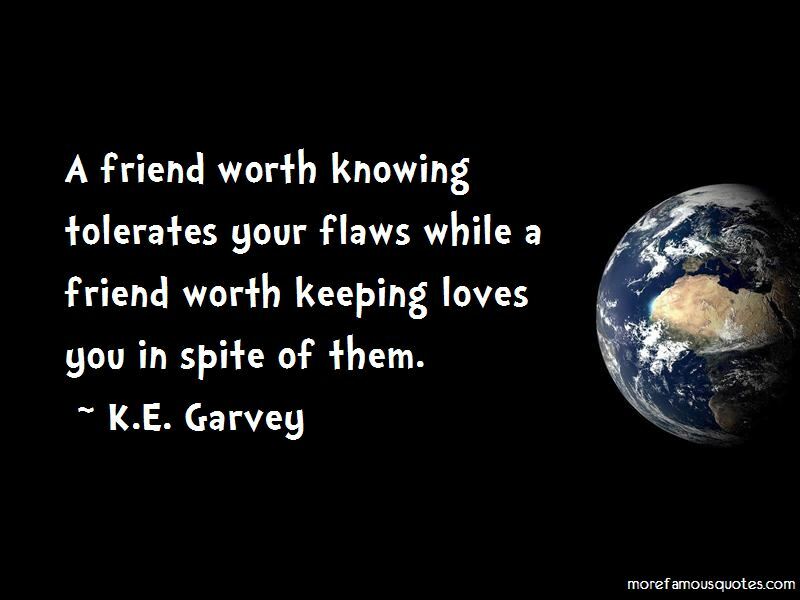 A friend worth knowing tolerates your flaws while a friend worth keeping loves you in spite of them. Want to see more pictures of K.E. 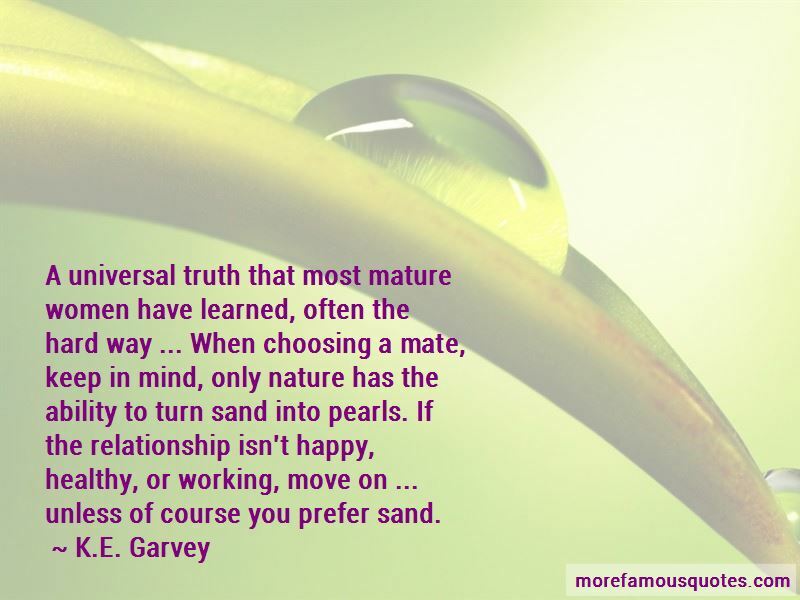 Garvey quotes? Click on image of K.E. Garvey quotes to view full size.